I know some of you will find this article and video interesting on five Porsche prototypes (fairly modern era). While at least one has been modeled in 1/43, you may wish to consider others for your wish list to manufacturers to produce as models. This Porsche Carrera Speedster Clubsport was made by High Speed a number of years ago. I have the same model. Fairly simple but reasonably accurate and I've yet to see another model of that car. The Spark does look better but for the EUR 2 I paid for the HS it's unbeatable value. The Pananamericana would be very welcome here. There should be a law against molesting Porsches. Porsche builds a car that is hideous, declares it a prototype and watches the price jump sky high. I wasn't aware that the white speedster was a proto, I thought it was an option for a regular production speedster! Now I got a new concept on my wish list (as I love this shape of the 911s). 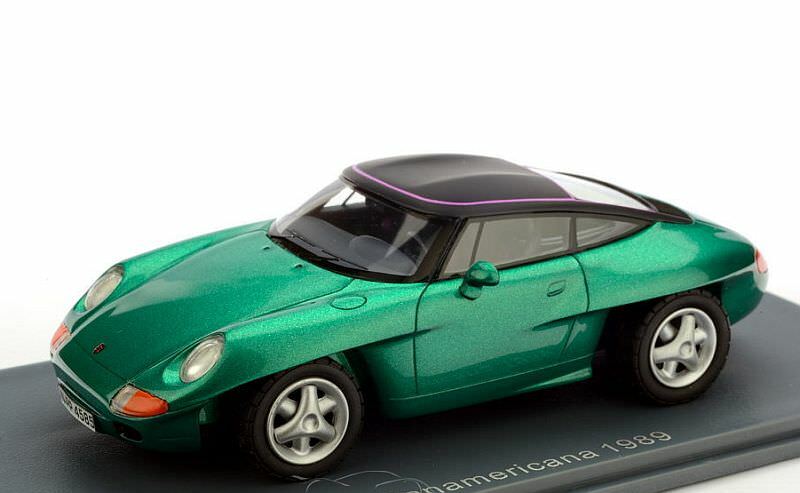 The Panamericana was also made as kit by Provence Moulage many years ago (plus at least another attempt in white metal - a promo gift), but obviously the NEO release is the most accurate. The 984 is sort of a car that might end up as an unexpected new release by AutoCult any day! I like that a lot. But it can’t be a Porsche as it doesn’t look like a Beetle? I’ll stick to the racing versions of the 914-6 thanks. Ah, but had this car made it to production, with a larger engine than the 914/6 (2.9 vs 2.0L), 911S brakes, balanced weight distribution it would have been a serious racer let alone a fantastic GT car! Sounds like real drivers car. The best thing about being in the drivers seat is you can’t see how ugly it is on the outside . I'll join in as a fan of the 916.